Like a Matryoshka doll, inside each cholera elimination initiative for Haiti one will find another and inside that, yet another. At the two-year anniversary of the earthquake, in January 2012, organizations launched a “call to action” for the elimination of cholera. Almost a year later, in December 2012, the U.N. launched a “new” initiative designed to “support an existing campaign.” Then in February 2013, the Haitian government and international partners announced a 10-year elimination plan. When funding was slow to come, the U.N. and other partners began raising funds for a two-year emergency response. In March of 2014, another “high-level” committeewas formed and then in July, U.N. Secretary General Ban Ki-moon traveled to Haiti to launch a “Total Sanitation” campaign within the “context” of the cholera elimination plan. 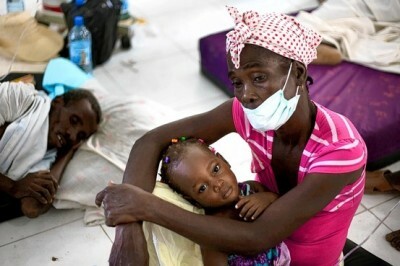 Since that first announcement in 2012, 1,600 Haitians have died from cholera. Today, in a “high-level” donor conference sponsored by the World Bank, the Haitian government presented yet another plan.